Try out this Thai style twist on a French favorite!! Heat a medium pot over medium-high heat. Add olive oil. Add Shallot, garlic cloves, and ginger. Cook until soft. Add turmeric and curry until a paste like consistency. Throw cleaned mussels into pot. Cover with water, chopped cilantro, chili flakes and coconut milk. Put a tight fitting lit over the mussels for 2-5 minutes depending on size. 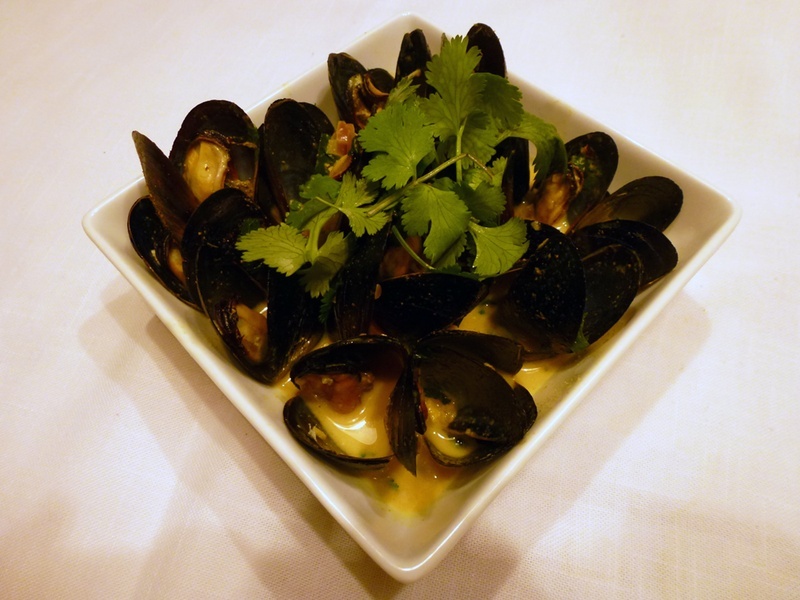 Once all mussels are open, your dish is done. Season broth with salt and pepper until you have acheived your desired level of seasoning Use tongs to place mussels into a serving dish or bowl. Discard any mussels that have not opened as they are probably not edible. Cover mussels with remaining broth. Finish with fresh cilantro leaves. Sriracha is a great condiment for these. Don't forget some grilled or toasted bread for dipping in the broth!